This piece was first published by The Astana Times. Other initiatives include increased access to low-cost mortgages and expanded business microloans as well as increased personal access to natural gas. “I’ve been thinking about this step for a long time, but Kazakhstan had to accumulate strengths and resources. Now, I think the time has come. Time to make efforts to strengthen the social unity of our people and to do this through large-scale projects,” the President said addressing the joint session of Parliament. – loan terms will increase from 10-15 years to 25 years to reduce the amount of each monthly payment. The President instructed the National Bank to set up a company to attract at least one trillion tenge ($3.1 billion) to repay new mortgage loans provided by banks on the above terms. The initiative is expected make housing more affordable for millions of Kazakh citizens as well as create jobs by stimulating the construction industry and small and medium-sized businesses. The second initiative is to reduce the tax burden on the wages of low-paid workers from 10 percent to 1 percent for people whose wages do not exceed 25 times the minimum calculated index (MCI) per month (with one MCI standing at 2,405 tenge, the affected wages will amount to 60,000 tenge or approximately $187.6 at current exchange rates). 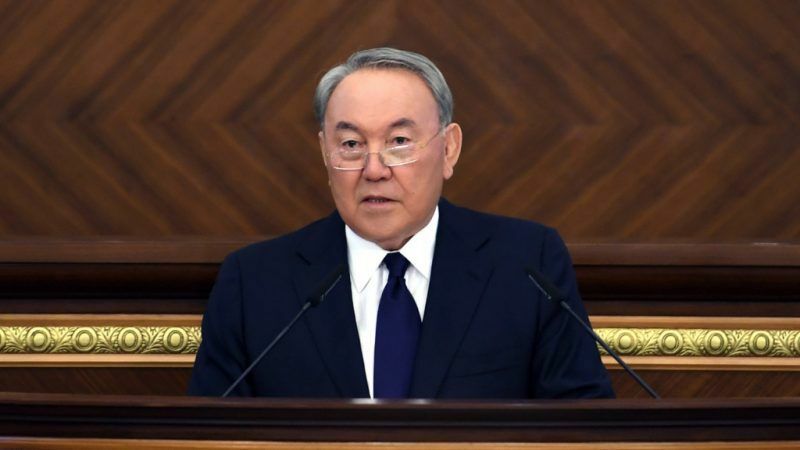 “As a result, at least one third of the country’s wage earners, which is more than 2 million people, will have higher wages without increasing the burden on employers,” said Nazarbayev. He also said the government will need to explore the introduction of a progressive income tax system. The third measure increases access to high-quality education by providing 20,000 more state scholarships for the 2018-2019 academic year than the 54,000 scholarships provided in 2017-2018. Approximately 11,000 of the new scholarships will be granted to undergraduate students in the technical sciences. The President also ordered the construction of new dormitories for 75,000 students until 2022 through public-private partnerships with partial reimbursement from the government, on the understanding that this will help resolve housing problems faced by some of Kazakhstan’s 500,000 undergraduate and graduate students. The fourth initiative seeks to boost entrepreneurship by increasing the amount of microloans offered from 32 billion tenge ($99.8 million) in 2017 to to 62 billion tenge ($193.4 million) this year. Nazarbayev stressed this proposal is especially important for developing entrepreneurship in rural areas. The fifth initiative seeks to increase access to gas for 2.7 million people by building a major gas pipeline from Karaozek in the Kyzylorda region to Astana through the cities of Zhezkazgan, Karagandy and Temirtau. The president said the initiative will boost small- and medium-sized businesses and reduce harmful emissions six fold or by 35,000 tonnes per year in Astana alone.